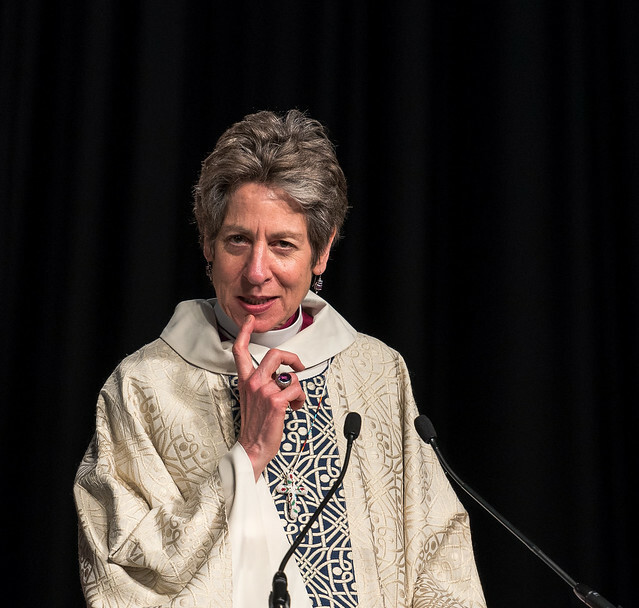 At the 78th Triennial General Convention of the Episcopal Church, a number of resolutions were referred to dioceses and congregations for action, consideration or information. Below is a list of those resolutions as they appear in A Summary of Actions of the 78th General Convention. I have included links to the resolutions in English. You can search for any resolutions in English or Spanish here. There is a box in the top right corner for searching by number, if you want to see the Spanish translation of the resolutions below. Shortly after arriving home after dropping my Captain America son off at the West Point Prep School, my amazing hippie, dread-locked, tattooed, I'm-more-of-a-Buddhist, 22 year-old daughter asked me, her 53 year old Episcopal Priest father to go with her to Burning Man. I love the constant adventure of parenting. And I love my daughter. (And truth be told, part of me has always wanted to go to Burning Man.) So on Monday I will be going to the Playa so Laura and I can experience our first Burning Man together. When my wife Andrea saw the list of things we needed to bring in order to survive, she commented that it was longer than her packing list for her deployment for Afghanistan. In addition to all the regular camping supplies one needs, you have to build a shade structure so you don't bake when you are trying to nap in the day in the blazing sun and heat. So I have learned how to build a monkey hut. I was not a great cadet. I went to West Point for the wrong reasons: the education was free, the pictures in the catalog were impressive, and my girlfriend - now my wife - was going to go. I did not give my heart to the institution. I was not interested in military discipline. I saw myself as a Hawkeye Pierce kind of rebel. As soon as I could, I sported a "marijuana split" parting my hair down the middle. I cut every corner I could. And I could cut lots of corners, because I was a guy. I was one of over 1000 guys in my class. If (and when) I got caught, it didn't reflect on the other guys at West Point. I was just one guy who did something stupid, or funny. Nobody said, "See, I told you guys shouldn't go to West Point." I had the luxury of being able to be mediocre. The women in my class did not have that luxury. They could not blend in. There were just over 100 women in each class. And they were all suspect. Any mistake was a blemish on all the women. Any weakness would be seen as evidence that women didn't belong. Which made it hard on all the women. And women were hard on each other - knowing that the stakes for any mistake were high. Women had to perform well. All the time. I could be mediocre. All the time. It drove Andrea, my girlfriend, crazy. She was a great cadet. She had grown up wanting to go to West Point. Women wouldn't be allowed to go until Andrea was 14, but as a young girl she knew she wanted to be a cadet. She loved the structure and the discipline and the ideals of Duty, Honor, Country. She was a great cadet. And she felt the pressure to be perfect. All the time.